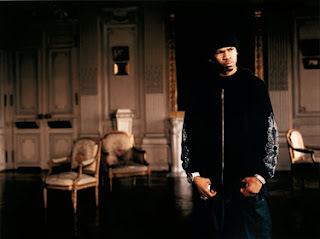 From the will you play ball with Chamillionaire department... Chamillionaire @ La Zona Rosa tomorrow, Nov 6th! If you wanna hoop with Chamillionaire tomorrow hit him up on Twitter. He's looking for some players! Hakeem Seriki (born November 28, 1979), better known by his stage name Chamillionaire, is a Grammy Award winning American rapper and singer and CEO of Chamillitary Entertainment and a founder and original member of The Color Changin' Click, He began his career independently with local releases in 2003, including collaboration album Get Ya Mind Correct with fellow Houston rapper Paul Wall. He signed to Universal Records in 2005 and released The Sound of Revenge under Universal. It included hit singles "Turn It Up" and the number-one, Grammy-winning hit "Ridin'". Ultimate Victory followed in 2007.